RStudio Desktop provides the RStudio IDE as a native desktop application for Windows, Mac, and Linux. 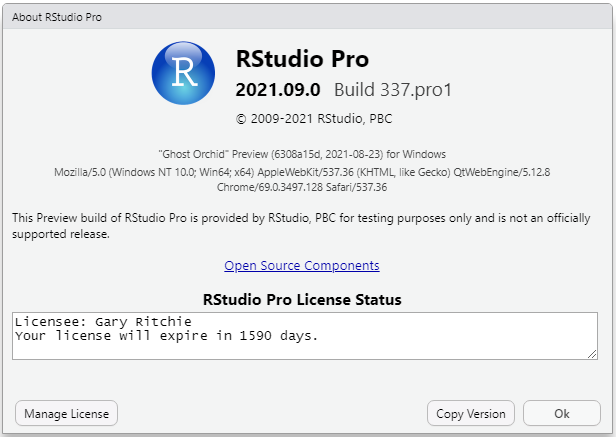 RStudio Desktop requires a previous installation of R version 3.0.1 or higher. If you don’t already have R, download it from https://cran.rstudio.com/. A 64-bit version of R is required. RStudio Pro for Windows requires a 64-bit edition of Microsoft Windows 7 or newer. Download the self-extracting installer (.exe) and execute it. Follow the prompts in the setup wizard. Administrator access is required to complete the installation. 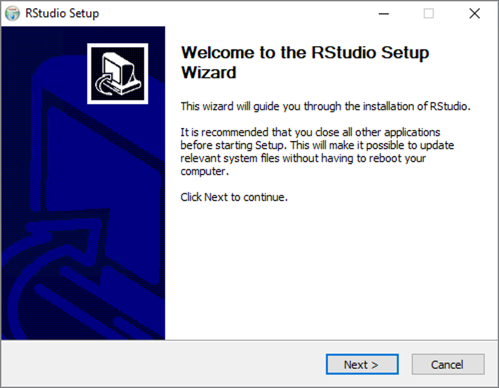 The installer will create a shortcut for RStudio and an Add/Remove Programs entry for uninstall. A zip file may be downloaded instead of the self-extracting installer. Download and extract the .zip to any location. RStudio may then be run directly from that location via rstudio.exe (in the bin folder). 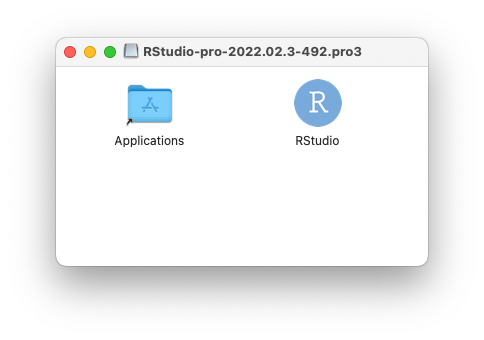 RStudio for Mac requires macOS 10.12 (Sierra) or newer. Download the disk image (.dmg) and open it. Drag the RStudio icon to Applications then eject the disk image once complete. To uninstall, move RStudio from where it was installed to the trash. RStudio produces binary packages targeting the following 64-bit Linux desktop distros. Download the appropriate package and install using system tools. Linux desktop users may need to import RStudio’s public code-signing key prior to installation, depending on the operating system’s security policy. When a user first starts RStudio it will activate an initial evaluation period during which the product is fully usable. After the evaluation period expires, the product will need to be activated with a license to continue using it. 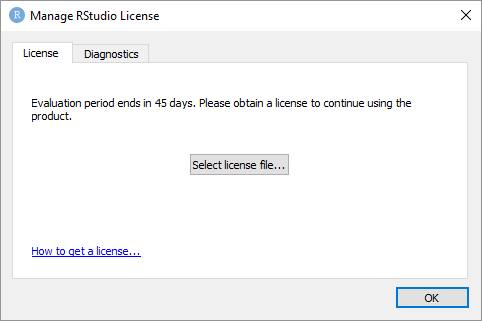 Use Help/Manage License menu to display the Manage RStudio License dialog and view the amount of time remaining in the evaluation. The license status can also be viewed from the About dialog. After purchasing a license you will either receive a license file (.lic) or a license key. Use the Manage License dialog and use “Select license file…” or “Activate with license key…” and follow the instructions. Additional details on license management (including discussions of offline activation, floating licenses, and activating through a proxy server) can be found in the License Management section.